I am going out on a limb tonight with this one. Although there is plenty of uncertainty about the upcoming winter storm chance i am thinking the Midwest has a good shot at snow. It is only showing up on half the models. Current trends suggest that the other models will catch on to the winter storm solution in the next few days. 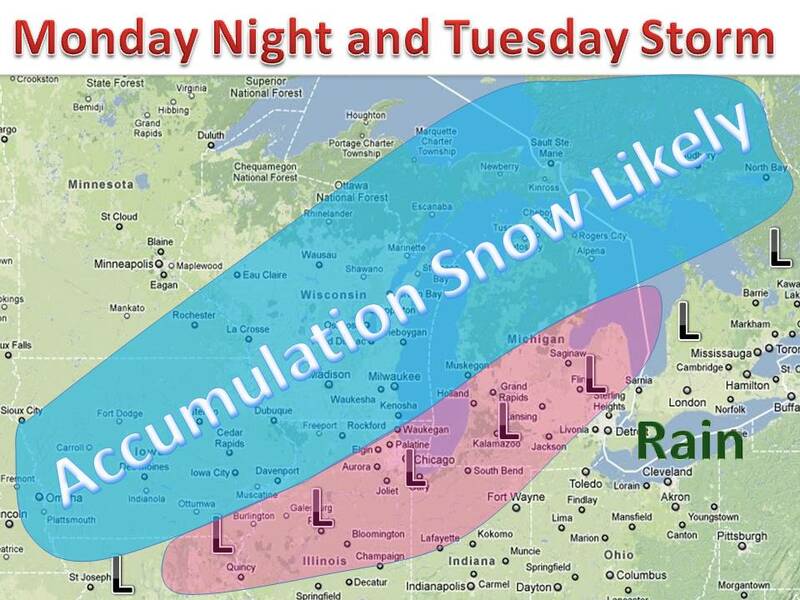 Assuming this is true, a wide area of snow will break out in Iowa and move up into the great lakes on Tuesday. Possibly dropping something like 2-5" in heaviest areas. Of course it is 5 days out so snow amounts are impossible to pin down. Along the track of the low a wintery mix will change to snow, areas like Chicago and Grand Rapids. You are going to want to keep up to date with this one! We have you covered at Midwestweathertalk!